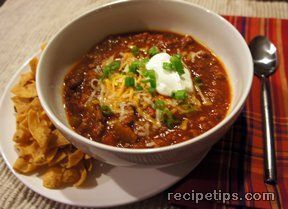 This vegetarian 3 bean chili gets its well-blended, moderately spicy flavor from Caribbean Jerk Seasoning. And because it's cooked in a slow cooker, it's as easy as it is delicious. 1. Mix beans and remaining ingredients, except 1 tablespoon oil and 1 teaspoon Seasoning in slow cooker. Cover. 2. Cook 8 hours on LOW. Stir in remaining 1 tablespoon oil and 1 teaspoon Seasoning just before serving.